antique sewing machine - Harris' Challenge. The earliest Challenge models - circa 1872 - were manufactured by the Royal Sewing Machine Co. exclusively for Joseph Harris (both of Birmingham, UK). 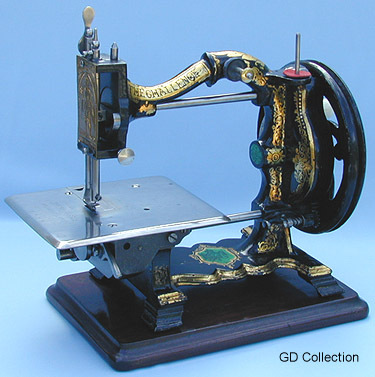 These attractive lockstitch machines incorporate Shakespear & Illeston's patented shuttle transport system.